Is the monotony of routine life getting you down? Wouldn’t you love taking a rejuvenating family vacation that offers not just comfort, but adventure and fun too? If you are already set to pack your bags but don’t know where to go, here’s the perfect place. Yercaud in Tamil Nadu is a hill station with unmatched beauty and serenity, courtesy – Mother Nature. But that’s not all it offers. Here you can partake in various activities that are fun for the whole family. While a weekend trip to Yercaud is typical amongst most travellers, remember that there are many beautiful places to visit in Yercaud. Below is a five-day itinerary that lists some of the sights you must see on your family holiday. •Yercaud Lake: From here you can enjoy stunning panoramic sights of the mountains and grasslands. It is one of the most famous sights in Yercaud, especially for photography enthusiasts. A walk around the lake can be quite peaceful, but if you want something more fun, take a boat ride. And don’t worry; if hunger strikes during your day out, there are plenty of eateries and food-joints around where you can grab a quick bite. • Rose Garden and Silk Farm: Not far from the lake is Yercaud’s Rose garden, which will captivate you with the different species of the roses that grow there. If you still have some time to spare, head to the Yercaud Silk Farm close by. Here you can learn about breeding silkworms and fabricating silk from the sheaths. •Pagoda Point: From here you can take in the picturesque sights of Yercaud, including an extensive view of the surrounding lush hills. Located about five kilometres from Yercaud’s bus stand, this place is also famously known as Pyramid Point as of the four heaps of pebbles piled like a pyramid. For the best views of this hill station, visit this point during the day. • Deer Park: If you want to get up close and personal with nature, take a trip to Deer Park, which is located near the banks of Yercaud Lake. You can spend time in the company of deer, ducks, and peacocks wandering freely around the park. The park is an ideal place to spend a relaxing evening. •Bear’s Cave: A popular attraction for tourists in Yercaud is Bear’s Cave, which, according to legend was created by bears. However, history buffs may also know the cave as being a secret hideout for Tipu Sultan. •Drive along the 32-km Loop Road: With hairpin turns and beautiful green surroundings, taking a drive along the 32-km loop road is one of the best things to do in Yercaud. The route traverses through the hill station’s agricultural plantations of coffee, bamboo and more, which is both, relaxing and exciting. •Killiyur Falls: Take a day trip to these falls which are situated in Servaroyan hills on the Eastern Ghats. At the height of 300 ft., these falls are one of the most enchanting sights in Yercaud, offering an unforgettable view. Ideal for nature lovers, this waterfall is also perfect for families who want to enjoy a picnic in the outdoors or who want to indulge in some boating activities. •Tipperary Point: A drive along Tippery Road will take you to Tipperary point, the highest viewpoint in Yercaud. From here you can enjoy stunning views of the surrounding black granite hills. While here, try to spot the Elephant Tooth Rocks, which are a famous attraction as well. It is believed that the rocks – which are white in colour – are fragments of a meteorite that once fell on Earth. To make your stay truly memorable, opt for accommodation at Club Mahindra’s Yercaud resorthere. The rooms are spacious and well-equipped with modern day facilities. Club Mahindra resorts also boast of in-house restaurants that serve local delicacies to make your stay as authentic as possible. You can even check out the Club Mahindra reviewsto learn more not only about the resorts but also about Yercaud and the attractions it holds for travellers of all ages. 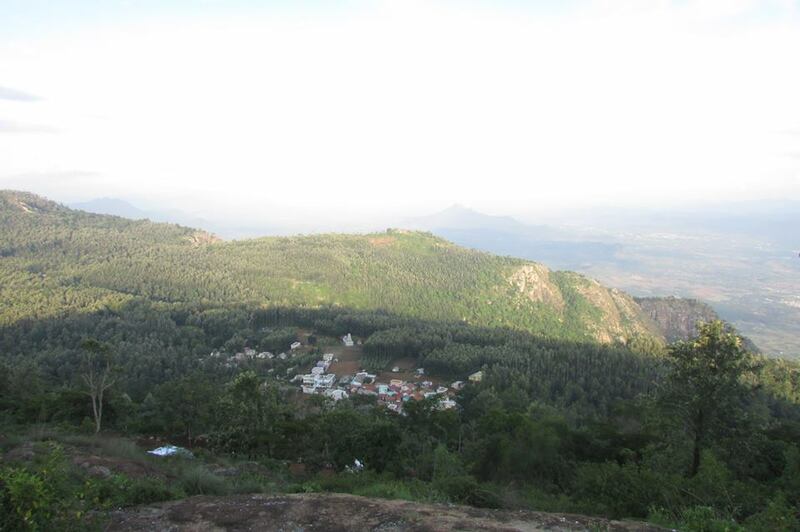 This entry was posted in Yercaud and tagged yercaud tour itinerary, yercaud travel india, yercaud travel tamilnadu. Bookmark the permalink.